Erin E. Masters is the principal attorney of Masters Law Group, LLC, in Chicago, Illinois. Ms. Masters and her law firm represent clients throughout Cook, DuPage, Will and Lake counties who have issues related to family law and domestic relations. After earning her Bachelor of Arts in Psychology from the University of California, San Diego with Provost’s Honors in 2001, Ms. Masters received her Juris Doctor from Loyola University Chicago School of Law in 2004 along with her Certificate in Child and Family Law. Having served as a clerk to a family law firm while she was attending law school, Ms. Masters became an associate attorney with the firm after graduating. The Illinois Supreme Court admitted Ms. Masters to practice in 2004, and she subsequently received admittance to the U.S. District Court for the Northern District of Illinois in 2005 and the Supreme Court of the United States in 2009. Throughout her career, attorney Masters has focused her practice on all areas related to family law, including divorce, child custody and support, paternity issues, visitation and parenting time, pre- and postnuptial agreements, prosecuting and defending Orders of Protection, and many other areas involving domestic relations and dissolution of marriage. 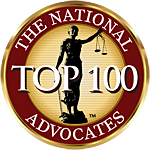 Having been a court-appointed child representative, attorney Masters remains a strong advocate for children throughout domestic disputes and divorces. Furthermore, the Circuit Court of Cook County appointed her to mediate complicated and intricate family law cases. Along with her law practice, Ms. Masters supports her community through her involvement with various nonprofit and professional organizations and associations, including mentoring to first-year law students and providing pro bono legal services.